Contents. List of Contributors. Preface (J. Barber). Composition, Organization, and Dynamics of Thylakoid Membranes (B. Andersson and J. Barber). Antenna Pigment-Protein Complexes of Higher Plants and Purple Bacteria (J.P. Thornber, R.J. Cogdell, P. Chitnis, D.T. Morishige, G.F. Peter, S.M. Gomez, S.Anadan, S. Preiss, B.W. Dreyfuss, A. Lee, T. Takeuchi, and C. Kerfeld). Adaptive Variations in Phycobilisome Structure (A.N. Glazer). Photoprotection and Photoinhibitory Damage (W.S. Chow). Molecular Genetic Manipulation and Characterization of Mutant Photosynthetic Reaction Centers from Purple Nonsulfur Bacteria (E. Takahashi and C.A. Wraight). Proton-Translocating HAD(P)H Transhydrogenase and NADH Dehydrogenase in Photosynthetic Membranes (J.B. Jackson and A.G. McEwan). Structural Elements Involved in the Assembly and Mechanism of Action of Rubisco (S. Gutteridge and T. Lundqvist). The Ferredoxin-Thioredoxin System: Update on Its Role in the Regualtion of Oxygenic Photosynthesis (B.B. Buchanan). Identification, Cellular Localization, and Participation of Chaperonins in Protein Folding (A.A. Gatenby, P.V. Viitanen, V. Speth, and R. Grimm). Translocation of Proteins Across Chloroplast Membranes (B.D. Bruce and Kenneth Keegstra. Index. Research into the basic mechanisms of photosynthesis has a long and distinguished history and has consistently been at the forefront of science. The success of this research, particularly in recent years, suggests that photosynthesis may turn out to be the first complex biological system to have its structure, function, and regulation described in rigorous chemical terms at the atomic level. It is likely that such knowledge will help us to tackle perhaps the most vital problem facing mankind, namely our need for a continuous and nonpolluting source of energy. The benefit may come by providing a "blueprint"for new technologies able to carry out efficient conversion of solar energy based on the principles of biological systems, and/or creating highly efficient "energy crops" sufficiently hardy to grow in a wide range of environments. The former is likely to involve new developments in material sciences while the latter will call on the rapidly advancing techniques of genetic engineering. 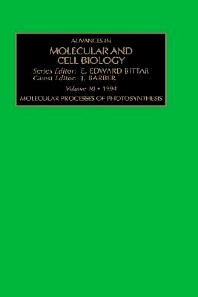 The contents of this volume review some of the most important developments which are a part of the drive towards the overall goal of obtaining the complete description of the photosynthetic processes at the molecular level. The topics covered have been carefully selected and represent the wide spectrum of the subject.